The year 2018 was quite interesting for the gaming industry. It felt like a burger, but instead of having a really good middle, it had great buns. The best gaming releases came out early in the year and around the fall, leaving a very peculiar type of perspective when comparing games from all the way since January to the ones released many months after. Did developers and publishers wanted to start off strong yet others leave with a great bang? With giant titles like Anthem coming out in early 2019 this tendency might keep up but hopefully we also see better titles arrive as our delicious middle ingredients. Anywho, let’s check Paul’s picks for best games of 2018. 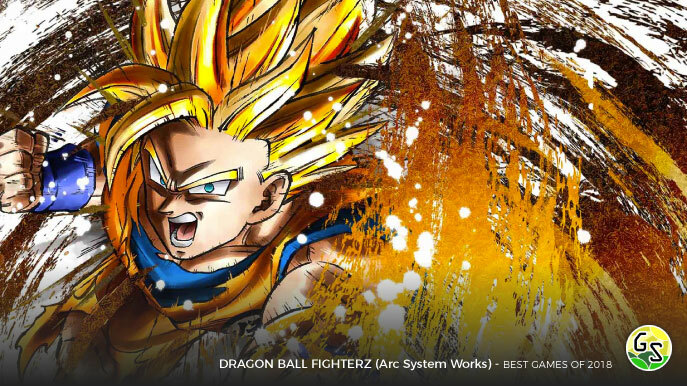 An early release in the year brought us what many Dragon Ball fans have been waiting for, a new fighting game with graphics that make justice to the popular series by Akira Toriyama. Developed by Arc System Works, we got to enjoy the game with the potential of BlazBlue and Guilty Gear, and een though I myself played way too many hours of it at launch, I will admit it made me stop for a while since it was too much to handle on long gaming sessions. However, everything else like the original story, game modes and balancing of the diverse cast makes this game a top tier contender for GOTY. 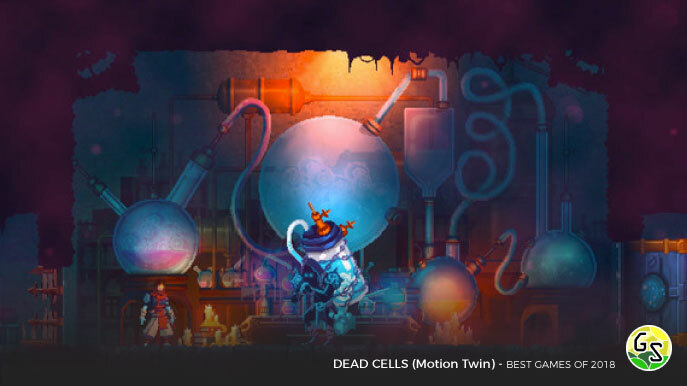 Motion Twin made something very common in the indie universe of games; a side scroller hack and slash. So what was so special about it? It’s progression system and persistency would reward players kindly, with a fantastic combat mechanic in which you could feel the heaviness of every attack, weapon, or spells at your disposal. The replayability value in the game shoots many other indies out of the water with ease. The dark/magical setting, tone, atmosphere and overall aesthetic are as well an enormous backbone for this beast of a title. 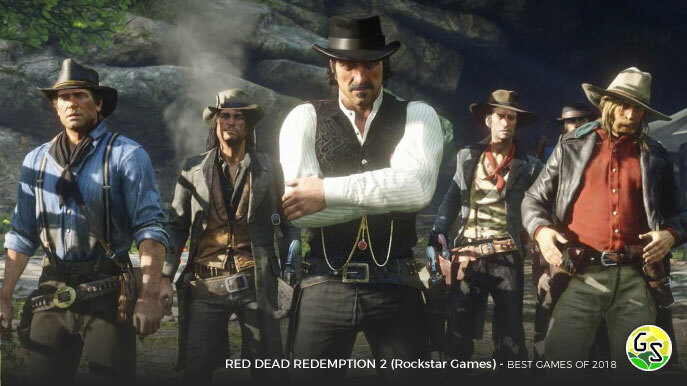 With a late release in 2018, it certainly brought a lot of other open world games to shame with the immense amount of detail that Rockstar brought us to the table. RDR2 offers a lot of activities, immersive stories and hidden peculiar encounters across its somewhat simple scenario. While it is quite a fantastic game, there is only so much you could do if you compare it to GTA V, but in games like this sometimes its better quality than quantity for players. Yeah, yeah, David Cage and all that. 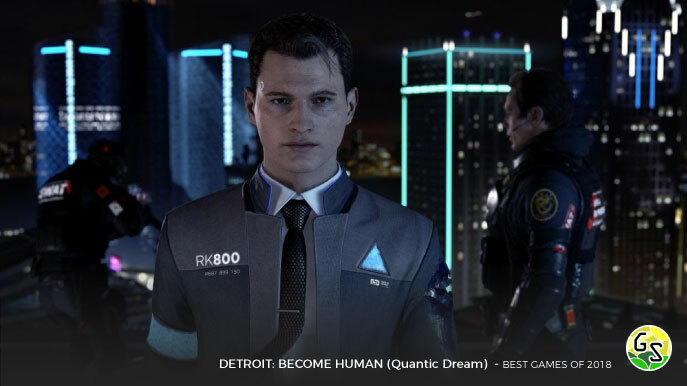 Detroit: Become Human made the list because the subject of existentialism in artificial intelligence will always be appealing to me. Quantic Dream also manages to create a web of storytelling so complex it is outstanding. Even if some events occur no matter what, or if you feel some choices don’t matter, the characters portray very contrasting roles that keep players engaged to continue on to the next chapters, with morality on very strong perspectives across the board. All this supported by impressive graphics, animations and top voice acting. The pinnacle of RPGs in 2018. 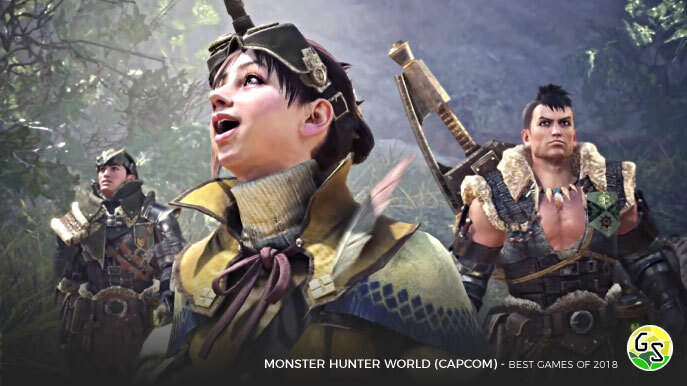 Monster Hunter World showed us that everyone can get into the series, as the learning curve is somewhat flexible in a sense. Players can enjoy the simplicity of the first ranks in missions and difficulty, as well as all the amazing season events, while more experienced players can enjoy all this plus challenge themselves at harder difficulties bestowing greater rewards. MHW does something quite well with RNG, and that is that when you work towards crafting something, you know how to get it and the rates are high enough for you to enjoy your hunt as no hunt is really ever the same considering the amount of weapons there are in the game with 4 player missions. For 2019 we have a lot of contenders throwing their cards on the table in the genre of RPGs and the famous “power race” that they are starting to offer. Developers are starting to incline on letting players feel more powerful than ever, but how will that turn out if it ever feels bloated eventually? No sure to find out other than wait and enjoy the newest arrivals in gaming.